Toys are supposed to be fun and enjoyed by children. It is important to make sure these toys are safe. There are ten things you should look for to make sure the toys your children are playing with are safe. 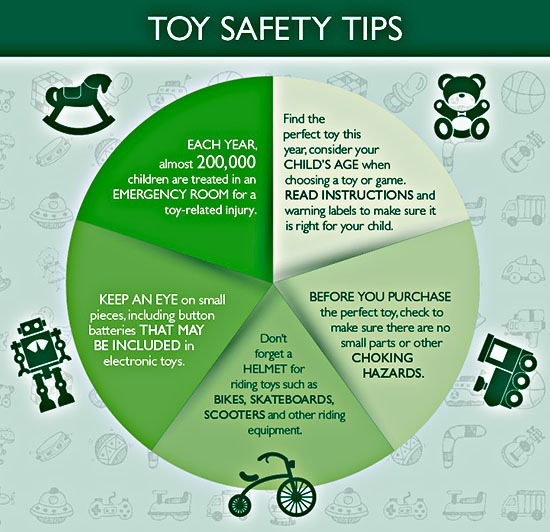 Toy safety must be a paramount concern for all parents. (1) Follow age recommendations on the package. This information is printed on the corner or the back of most toy packages. (2) If they have small parts look at your child’s behavior before you purchase it. If your child is going to put the toys in their mouth small parts may not be appropriate for them. (3) A part of the Toy Safety is : Never leave the child unattended. Even if you are only gone for a minute you child may put the toy in their mouth and start to choke. This can be dangerous so it is important to supervise your child when they are playing. Never allow a child to run with a toy especially toys that have protruding points. If the child did swallow a small part of the toy the results can be tragic. If the child is putting the toy in their mouth be sure to tell them no in a firm voice. If the child continues to do so take the toy away and supervise them when they are playing. This information can tell if a defect have been found on a certain toy. The product may be recalled so children do not get hurt when playing with it. Never allow a child to play with a recalled toy as it is not safe. Make sure all crayons, markers, and paint are non toxic. The label will state this information. Look at the back of the package and the seal to make sure it is not toxic before purchasing any form of art supplies. (7) If a child is playing with paint make sure the paint will not peel off. This can be dangerous if a child puts the paint in their mouth or even if it were to get into their eyes. Be mindful when purchasing paint to make sure that it will not chip. Make sure all toys include dolls are flame retardant. This can be toy safety issue for your child. (9) Be sure you purchase authentic toys are not cheap imitations. The imitations may not meet the same quality standards. Be sure you are getting the toys that you are paying for. (10) Check the rating of the toy or the video game. There are many toys including video games that may be passing along harmful messages to children. 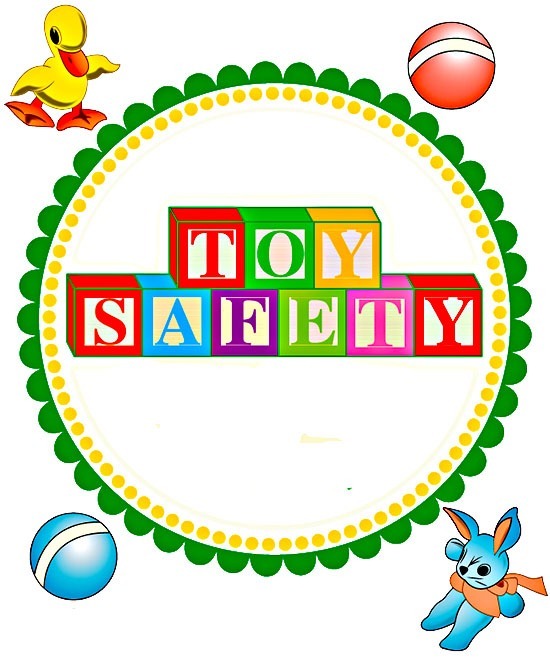 Be sure that your child has a toy that is age appropriate for them and complies with normal Toy safety guidelines. Do not let them play with those ones that may have a harmful massage or promote violent images that can be harmful to the child. Following these guidelines can help keep your child safe. Is “Toddler Toys Amazon” Right For Your Children?